I used to have pet rats but after the seventh I could no longer endure the terrible heartbreak of a pet that lives just long enough to make you love it. 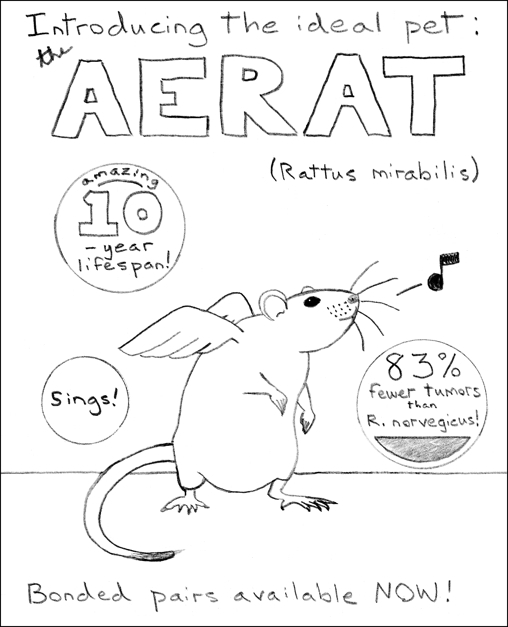 Anyone who has had pet rats will understand the appeal of the aerat, which has all the groomy sweetness of Rattus norvegicus and lives about four times as long. They can pollinate your garden, too.